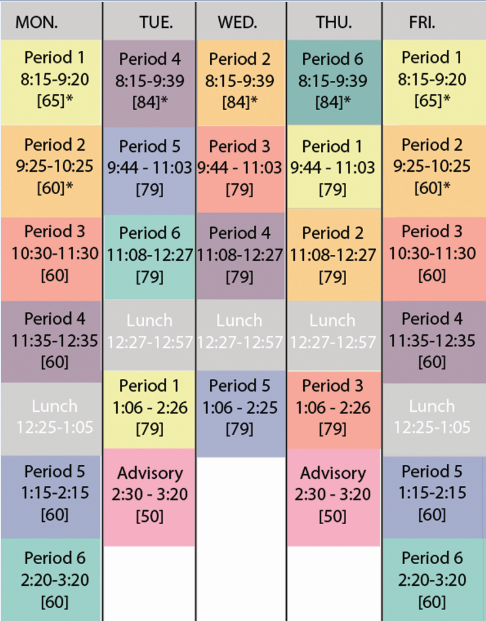 Bell Schedule is where admins define the various bell schedules, like Regular days, Minimum days, A-Day/B-Day, Final Exam schedules, etc., or different schedules for different days of the week, like Mon/Wed, Tue/Thu, and Fri. There's no limit to how many Bell Schedules you may define. Each school in your district has separate Bell Schedules. Elementary schools usually don't use periods, so you need only one generic Bell Schedule. It's harmless to keep the default 7-period schedule, or you may simplify it to one period all day long — it doesn't really matter since you won't be using the periods. If students meet for Advisory or Tutorial, define those as periods too. You may optionally add Lunch, Brunch, Recess, etc., to your bell schedules. Students can see the bell schedules when they login, so this is for their benefit. At first create periods according to the blocks. Here we have created 4 blocks. The short name of the periods would vary ,the time for Periods will remain the same. Calendar is where you specify which days use which Bell Schedule. By default it assigns the first bell schedule every Monday through Friday, but you can remove dates add weekends. For non-school days as "Holiday", "Staff Day", or "Snow Day" don't define bell-schedules. 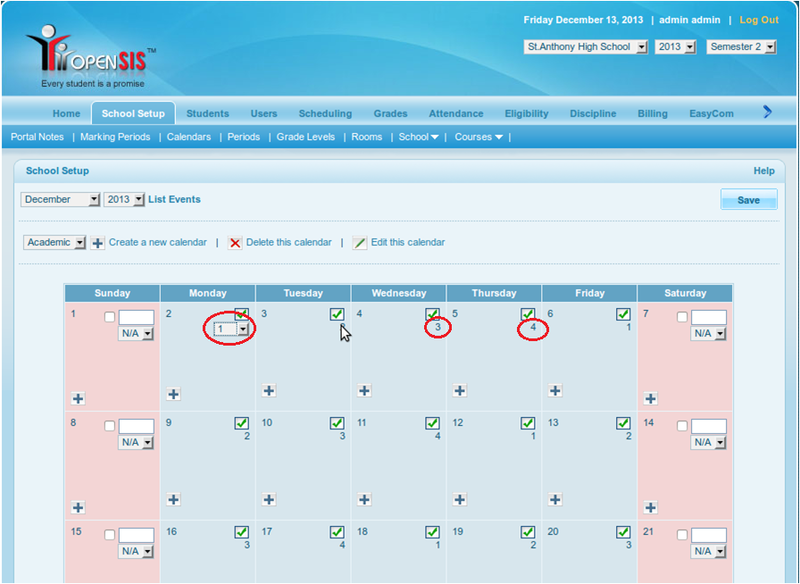 Now select the blocks for the calendar meeting days from the dropdown. The block days would rotate for the entire year. Here you will get the number of blocks there were created while creating periods. 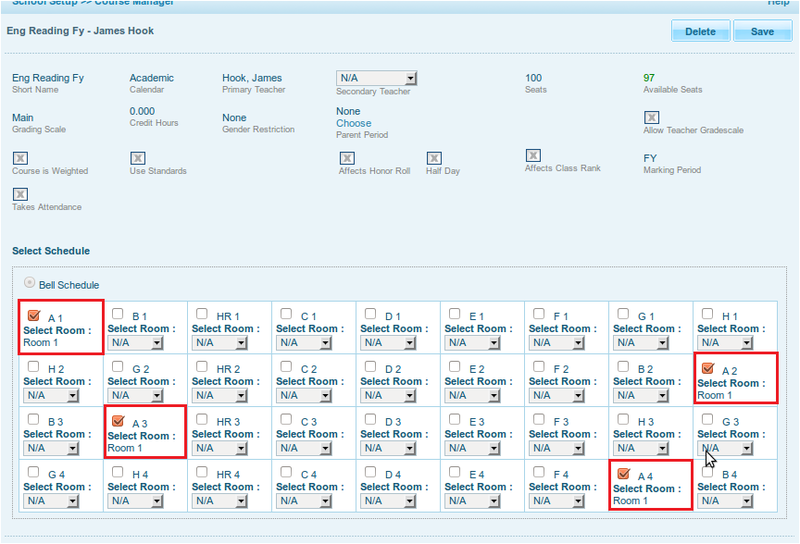 Now create Rooms from School Setup >> Rooms. The initial setup of creating a course period is the same with the normal course period creation. However, selecting the correct calendar is necessary to setup a proper course period. After giving the short name, teacher, calendar, seats, grading scale, marking period & takes attendance click on Continue. 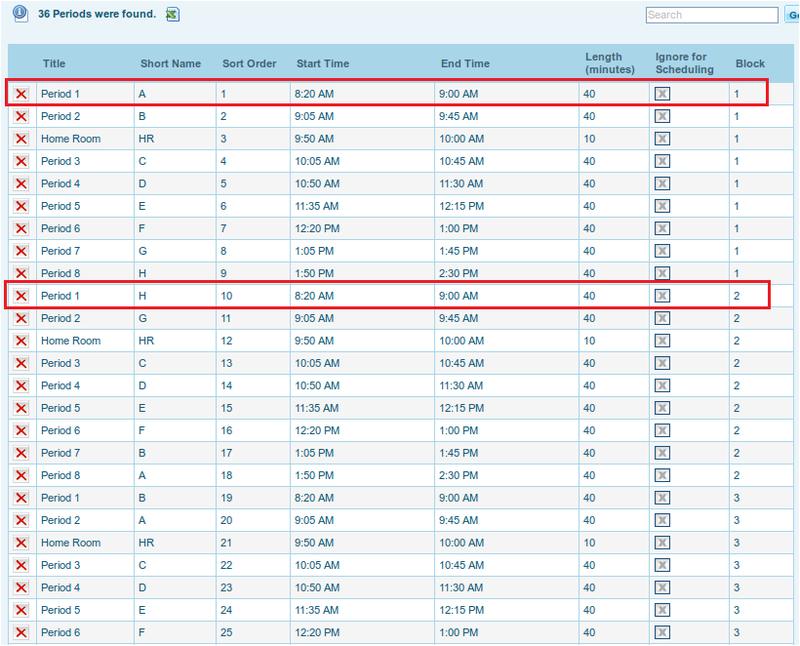 Now the next part of the course period screen will come up with the Room, Block & Period Short Name combination. Continue creating bell scheduled course periods as per your requirements. After you complete creating the course periods which is running on Bell Schedule the Class Routine will look like following. 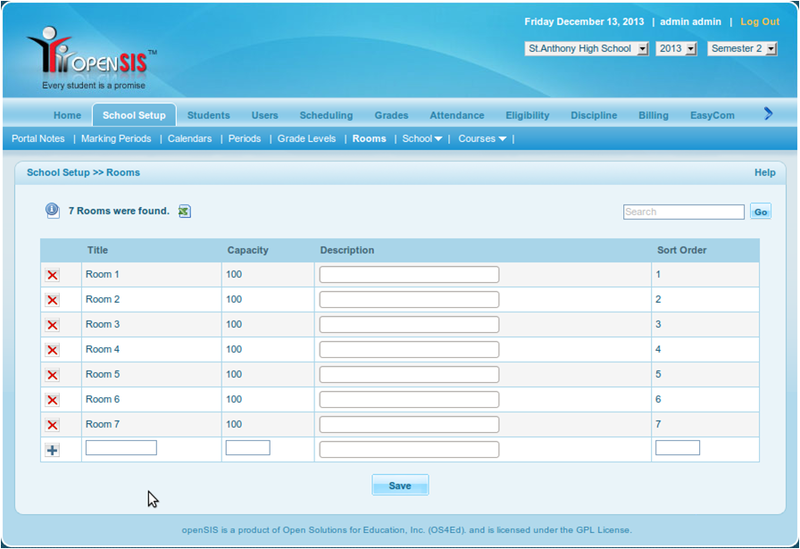 How to obtain the student's billing invoice?